Crib Size: 42" X 50"
Twin Size: 59" X 76"
Spring and pinwheels go together! Easy to make and goes together fast. 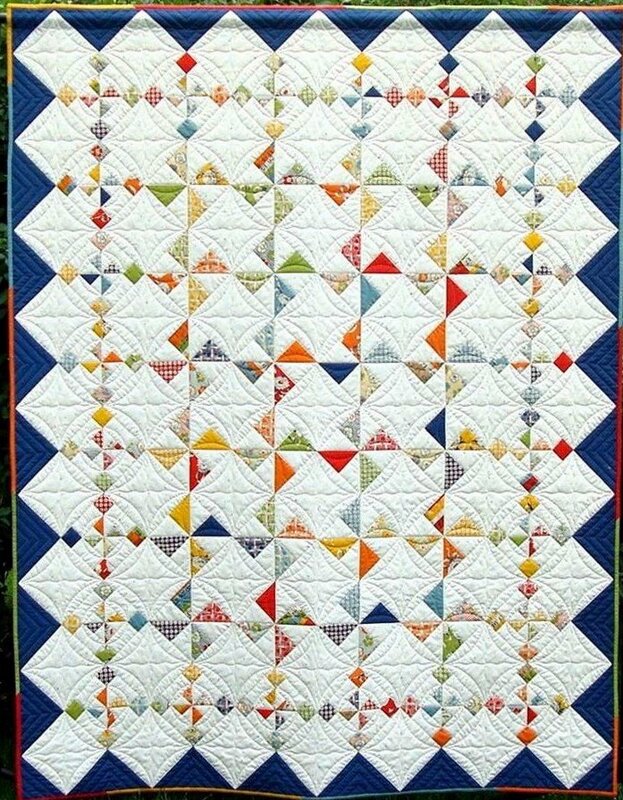 Make this quilt from your stash, or have fun collecting a variety of fabrics. All the yardage requirements are on the pattern back. The borders are sewn on as you sew the rows together so when your rows are sewn together, your done!